Football Association have taken offense to an incident involving Manchester United`s Ashley Young and the Southampton player Dusan Tadic, Vital Football reports.In the incident, obviously missed by referee Craig Pawson, Ashley did hit Tadic at the lower region of his abdomen with his elbow. Faced with a violent conduct charge, Young has until 17:00 hours, on Sunday, to respond to the charge. 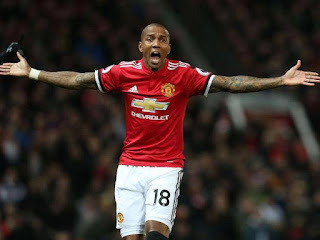 If Young, 32-years-of-age, is found guilty then he is likely to receive a three-game ban, probably the last thing Manchester United need with someone so dependable right now in a variety of positions and with the sides form faltering.